� How was your last visit to Estihana Brooklyn? As you walk off the busy streets of Avenue J and enter the Asian bistro, Estihana, you can’t help but feel its calm and tranquil surroundings. The etched mirrors, beautifully crafted mahogany chairs and charming background music, transport you into a unique environment combined with the best influences of Asian and American cultures. After the flagship establishment in Manhattan became so popular, the owners wanted to “bring some of the city to Brooklyn.” That was 2001. Today, Estihana Brooklyn has accomplished just that, proud of the neighborhood restaurant it has become. Very often you will find a nice mix of the “young” crowd and families of four or five enjoying the culinary creations from countries like Thailand, Japan, Malaysia, Vietnam, and the Canton region of China. House Specialties for starters are the Shredded Crispy Beef and Honey Baby Ribs. While they have all your favorite classic Chinese entrees like Sesame Chicken and General Tso’s Chicken, popular dishes like the Thai Special Steak, Vietnamese Chicken Satay and Malaysian Chicken are a small taste of the special sensations enjoyed at this Asian eatery. Only the very best of fresh and kosher ingredients find their way into their kitchens. 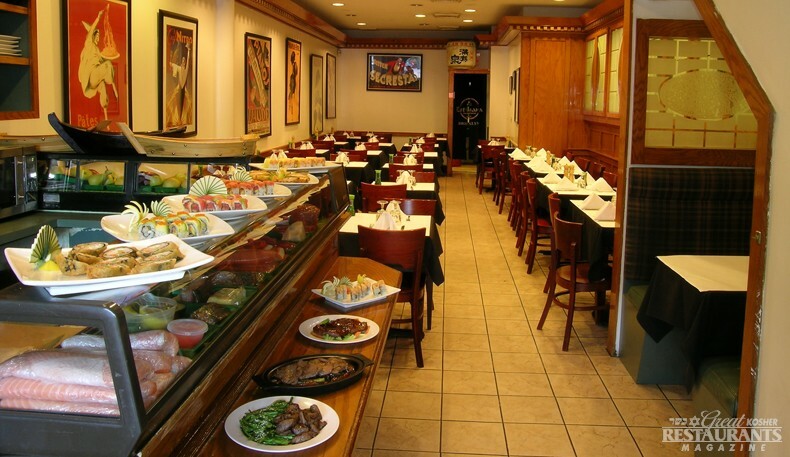 The Sushi Bar in front will satisfy all your cravings with over 30 varieties to choose from. Whether you are a beginner or even if you are a sushi connoisseur, the extremely knowledgeable staff will be able to describe in detail the highlights of each distinctive dish - whether it be for Sashimi (raw fish served chilled, sliced, and arranged without rice), tekkadon (pieces of raw tuna over rice), Nigiri/Edomae-zushi (pieces of raw fish over vinegar rice pieces), Chirashi-zushi (assorted raw fish and vegetables over rice) - all are terrific and served with Wasabi (Japanese-style "horseradish"), Gari (vinegar ginger), and Hashi (chopsticks). A recommended spot is the booth in front, which offers comfort and privacy. But wherever you sit, Estihana will please all those looking for the highest quality food. Enjoyed several dishes from Estihana. Each dish was authentic and flavorful. My compliments to the chefs! dinner at Estihana last night was very good. 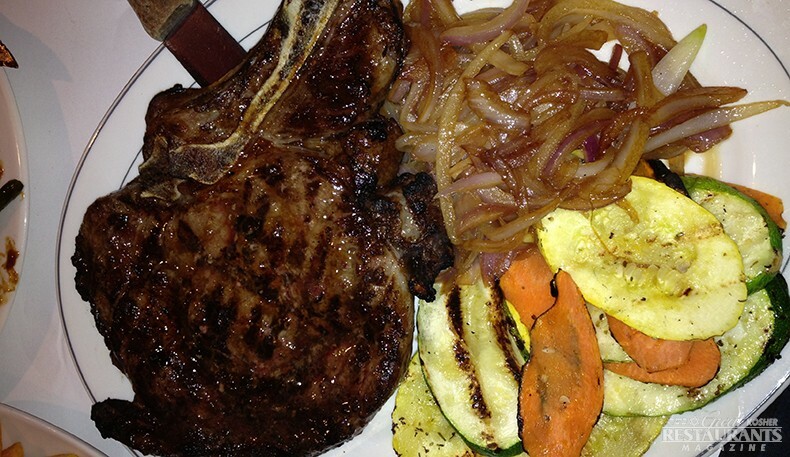 service was friendly and accommodating and the food was delicious, especially the rib steak. the waiter suggested we share a plate of crispy shredded beef for starters and he was right...we all loved it. as an extra added bonus, there was a guitarist who played Beatles songs among others.